In October, the streaming giant quietly added a batch of about 100, feature-length films to its website that don't require a subscription to enjoy. The only catch is that users have to be willing to sit through a few advertisements while they watch. Ads will then pop up at regular intervals throughout the movie. To check out what's available, head to YouTube's homepage, then navigate to the 'Movies & Shows' section in the lefthand toolbar. From there, scroll down to the section titled 'Free to watch,' click on whatever movie you want to watch and it will begin playing automatically like any other YouTube video. 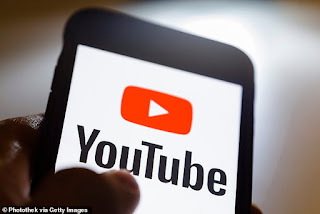 YouTube has long given users the option to watch movies and TV shows on its site, ranging from newly released titles to some throwbacks, for a range of prices. The firm moved to offer free titles after it heard users would be interested having the option. 'We saw this opportunity based on user demand, beyond just offering paid movies,' Rohit Dhawan, YouTube's director of product management, told Ad Age. It's unclear how YouTube shares revenue with advertisers or how it secured deals with movie studios. 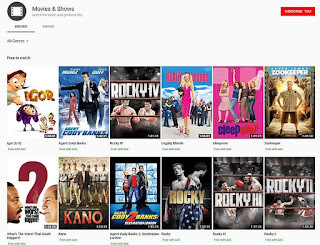 YouTube expects to add more titles to the 'Free to watch' section over time. Dhawan told Ad Age that YouTube could find a way for advertisers to sponsor films, so that users can watch them for free and get access to exclusive screenings. Should they pursue those kinds of deals, YouTube would have the user base to support it. The Google-owned streaming platform counts roughly 1.9 billion monthly active users, according to Ad Age. Still, the firm faces competition in the ad-supported video market. 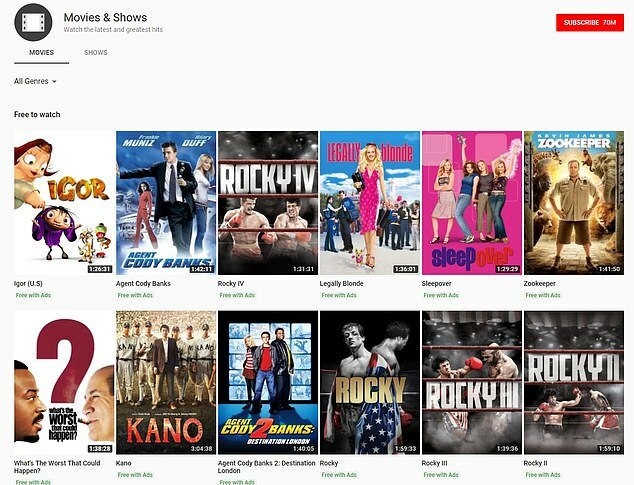 Roku, which makes video streaming hardware, recently launched an ad-supported movie platform called The Roku Channel, while Walmart has free streaming films available on Vudu. Amazon is also rumored to be considering jumping into the space with its own ad-supported streaming options, Ad Age said. It comes as more and more users are watching YouTube on smart TVs, not just on smartphones, laptops and tablets. This could give advertisers a greater incentive to lend their dollars to YouTube, experts say.